Last month, I focused on Arctic animals. 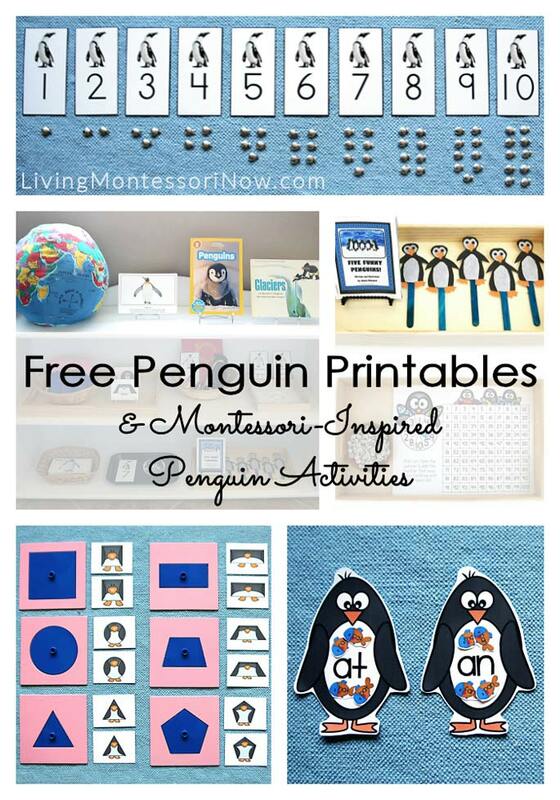 Today, I’m focusing on another great winter theme … this time from the Southern Hemisphere with free penguin printables and Montessori-inspired penguin activities. 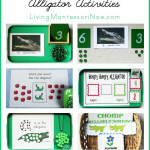 I’m also sharing our latest subscriber freebie and a special instant download from The Montessori Company! 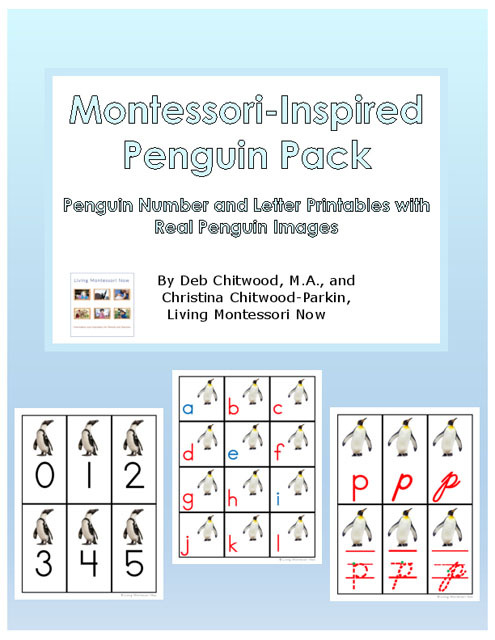 Here, I’m also sharing the links to free penguin printables for preschoolers through 1st graders (and sometimes older). To keep my list manageable, I don’t share coloring pages unless a page has a specific educational purpose related to penguins. 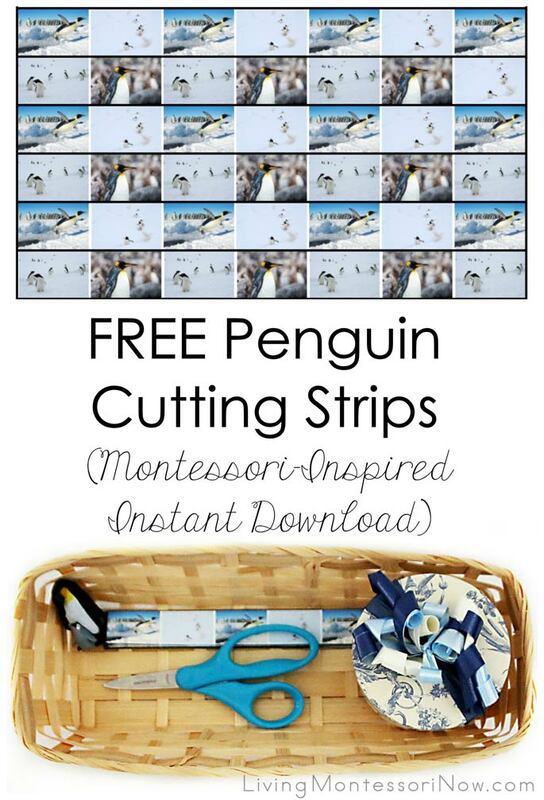 Note: Whenever an printable pack includes both Arctic animals and penguins, don’t use both unless you’re focusing on both the Arctic and Antarctic. A penguin is not an Arctic animal. All penguin species are from the Southern Hemisphere, although they don’t all live in Antarctica. 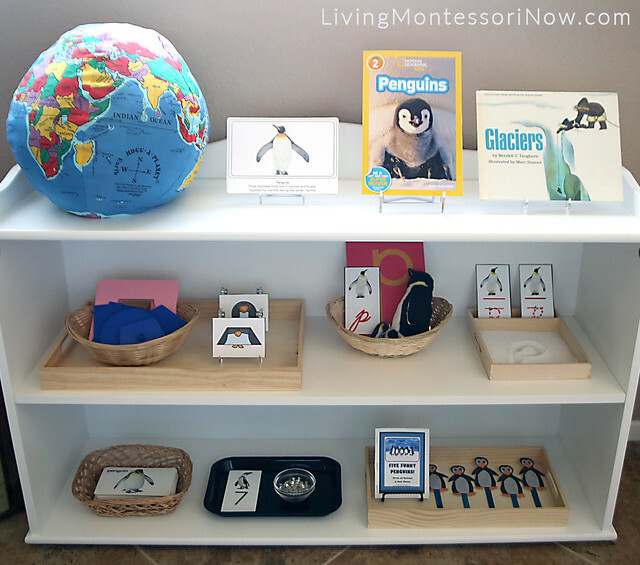 You could mix your penguin themed activities among your shelves according to curriculum area. Or you could have a special penguin area something like the one pictured. 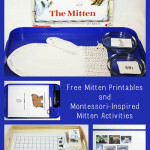 This one is more for 2½-4 year old preschoolers. 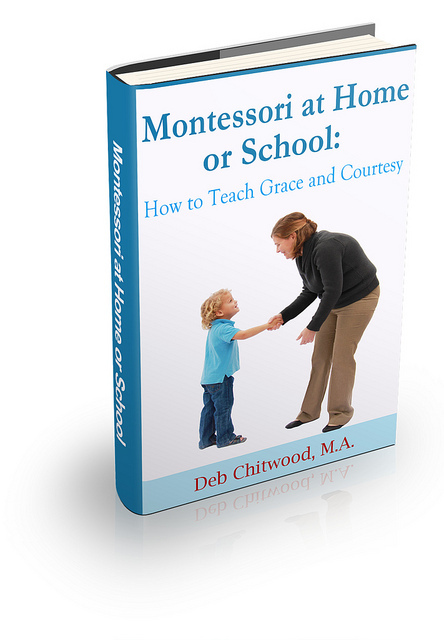 I didn’t add my more advanced activities to the shelves, although you could have activities for mixed ages in a classroom or homeschool. If you’re a homeschooler, just choose the activities that work for your child’s interests and ability levels. If you don’t have room for all the activities you’d like to do, just rotate them. I like to buy at least one book specifically for a theme. 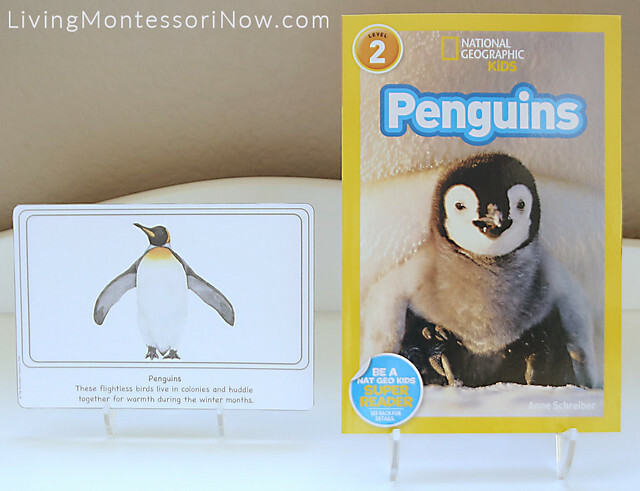 I really like this National Geographic Kids Penguins reader. 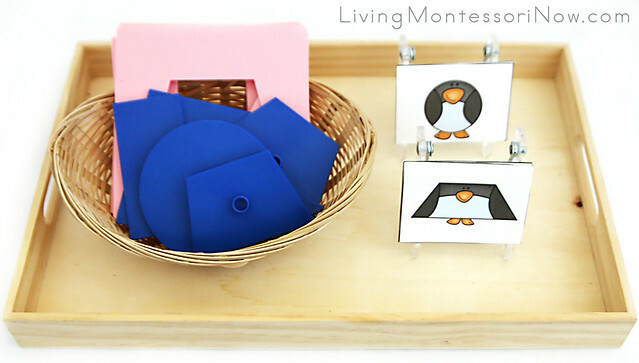 For this activity, I used a multicraft tray, Montessori insets from Alison’s Montessori, a Montessori Services basket, and small tabletop easels to hold the penguin shape cards. 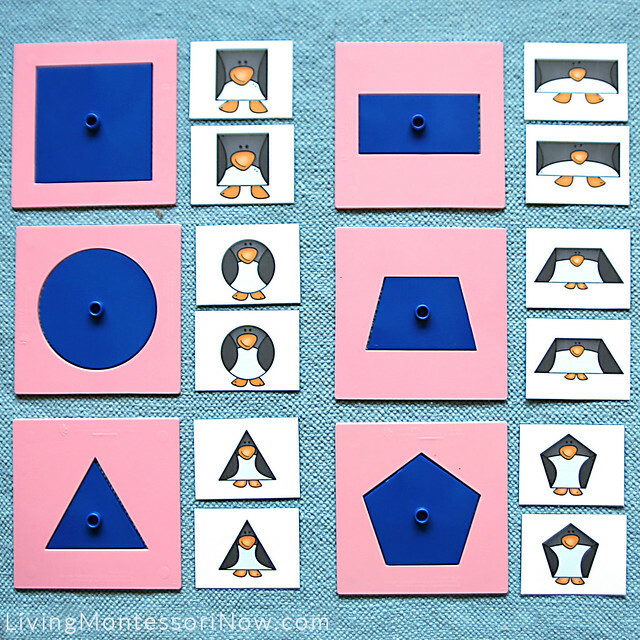 These cards are such a fun extension to work with geometric shapes! 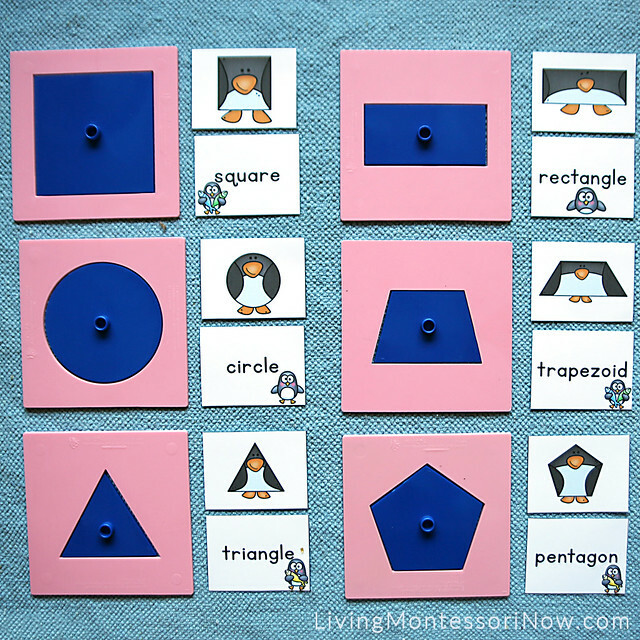 For most preschoolers, you could have two sets of the shapes that match metal inset shapes. 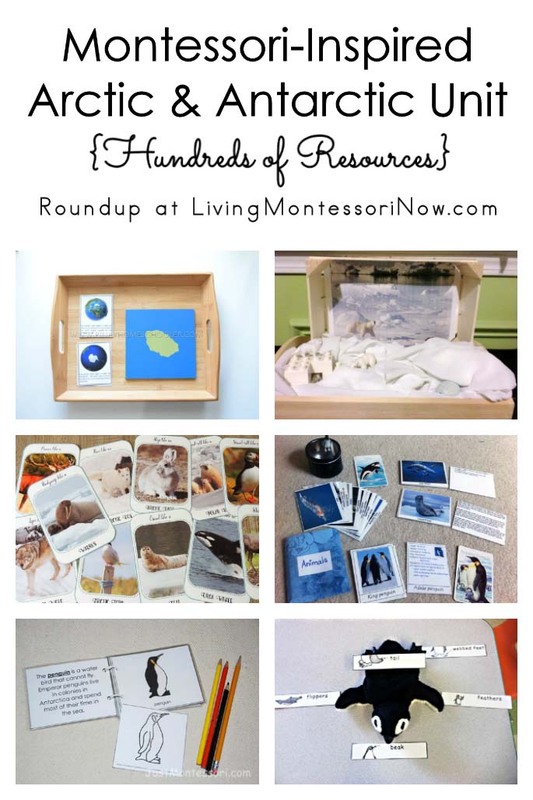 I use a Montessori Services rug on the floor for the layout. For children who can read, there are word cards included! 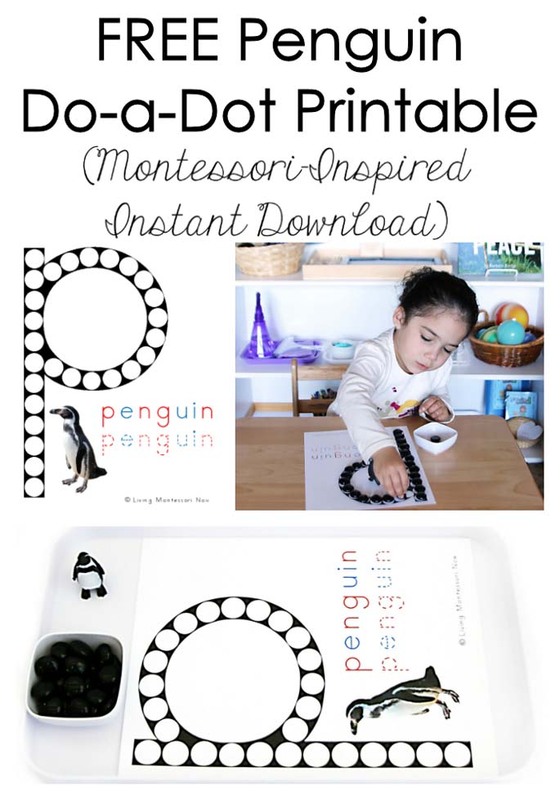 For this activity, I used a multicraft tray, with the penguin printables attached to craft sticks to make puppets. You could sing the songs in the post at Let’s Play Music. 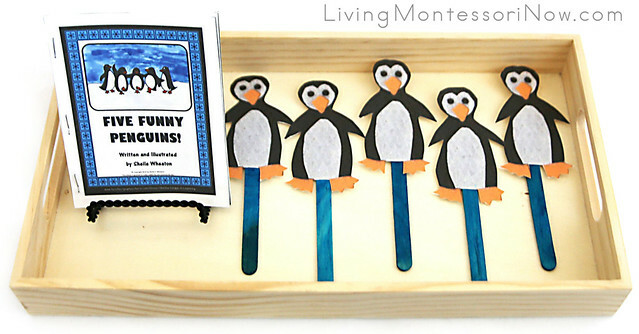 I like the printable Five Funny Penguins book to go with the penguins as well. I printed out 4 pages per letter-size page, so it’s smaller than it would be normally. 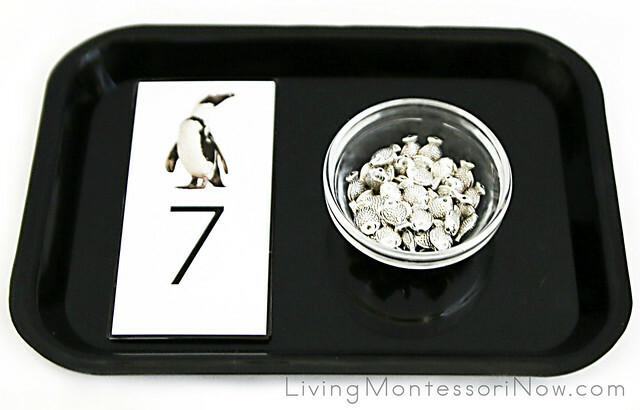 I used a Montessori Services medium-size tray and 55 silver fish in a glass bowl. I LOVE these little fish beads! They’re reasonably priced yet feel like a high-quality material. They come in sets of 50, so I ordered two sets. I like that they’re all the same color and small enough to be used with many different activities. I like to lay out my numbers and counters in the traditional Montessori way of rows of two counters with a left-over counter centered below the bottom row. This gives a visual impression of odd and even. 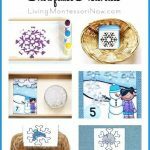 For more about creating DIY numbers and counters and a link on how to present the lesson, check out my DIY Cards and Counters post. 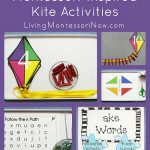 For this activity, I used a multicraft tray, large Bambu condiment cup, and brad and paper clip for the spinner. 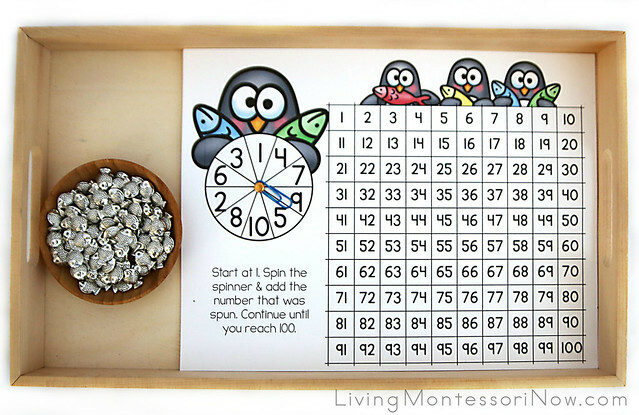 The game is designed for addition, although younger children could spin and then put that many fish on the hundreds chart until it’s full. 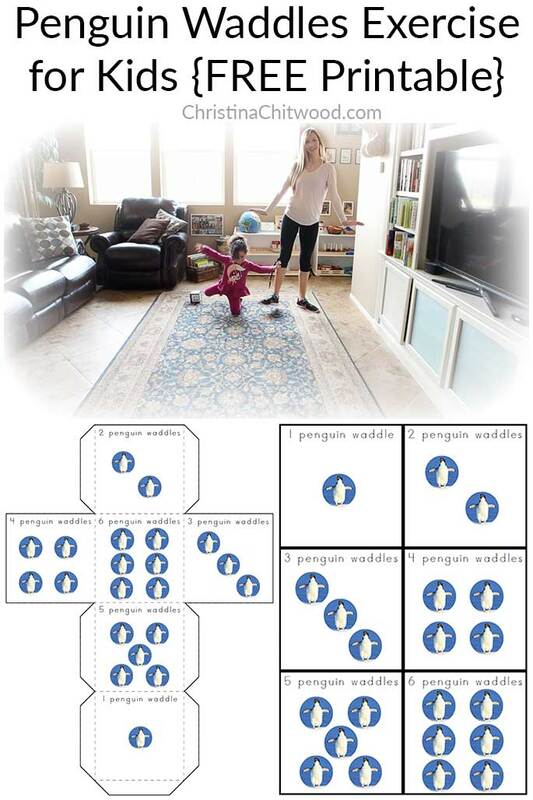 Free Printable: Penguin Word Family Sort by Squirmy Scholars at Teachers Pay Teachers. 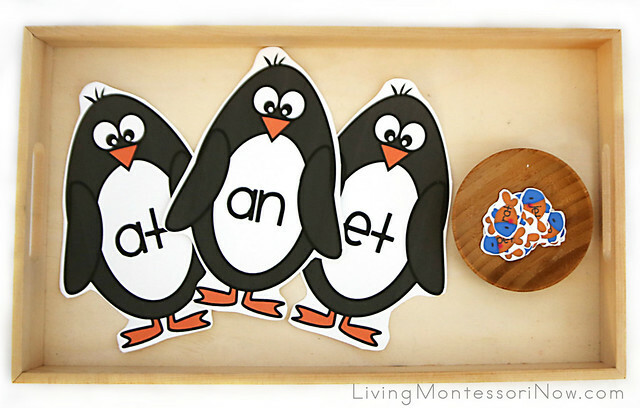 I printed out the fish words in sets of 4 to make them small enough to fit in the penguins’ stomachs. 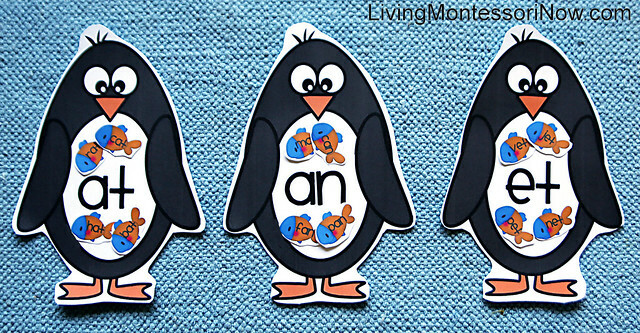 I used 4 nouns for each penguin, but you could use as many or few of the penguins and words as you wish. 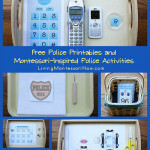 Again I used a I used a multicraft tray, large Bambu condiment cup, and the printables. 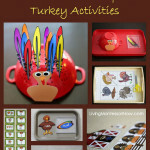 For this craft, I used a multicraft tray, Fiskar scissors, and glue. 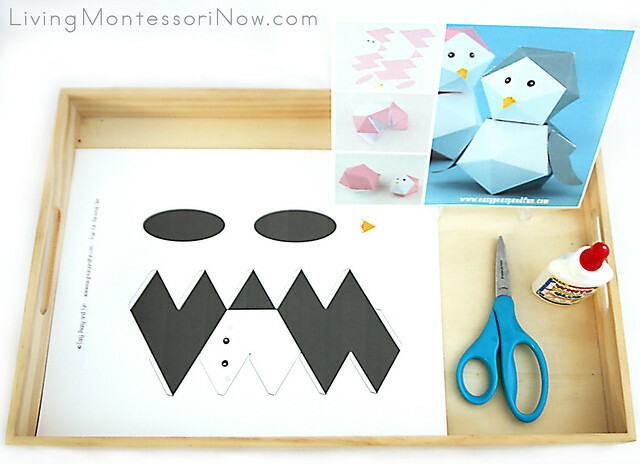 This cute activity would be best for kindergarteners and first graders who have good cutting and gluing skills.